Nina Burleigh is an American journalist (The New York Observer, Time and The New York Times among others) and author of five books. 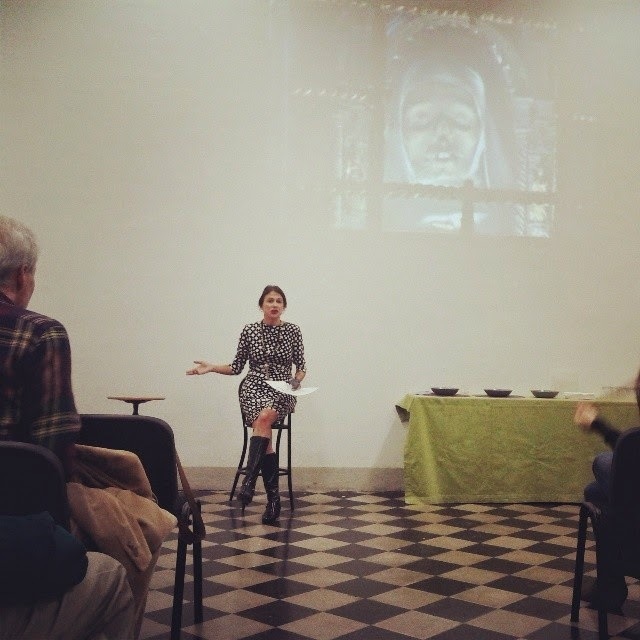 She has traveled widely and lived with her family in Perugia for a year whilst working on The Fatal Gift of Beauty, a book about the trial of Amanda Knox. Considering Nina's accomplished curriculum the last thing I'd expected from our meeting in Siena was for her to arrive on top of a bicycle. Tourists walk and locals ride - if anything - a Vespa through the up and downs of Tuscany's hill towns. 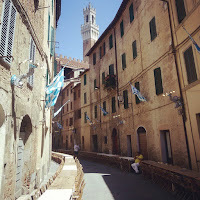 But hopefully, Nina Burleigh's three autumn weeks spent whizzing through Siena on a bike will have changed this forever. What brought you to Siena? And was it just wine or food or were you working too? The Siena Art Institute and American artist Amy Yoes, who was curating a project involving expeditions with Mark Dion, and creating a major art installation at the Museum of Natural History, invited me to be writer in residence. In conjunction with their project, I lectured on two of my books, Unholy Business, about relic fraud and forgery in Israel, and Mirage, about the adventures of Napoleon’s scientists in Egypt, the first archaeologists. Will Siena appear in your new book project? Yes. The time alone in Siena, without children, allowed me to work on a spy thriller novel I have been writing for young adults. From Manhattan to downtown Siena: anything you yearned for on that Tuscan hill? I missed my children, husband and dog, probably in that order. Your favorite museum or work of art in town? The duomo floor is fascinating. I could spend hours looking at it and finding the esoteric elements. The Sibyls, the Hermes Trismegistus, the allegories, it’s all so wonderfully mysterious. Contemporary art in Siena – does it exist? Above / Below Ground, the Amy Yoes and Mark Dion project in the lower floors of the Natural History Museum, is an ambitious and grand contemporary art project by two major American artists. Outside Siena, I was privileged to speak at the Castello Di Ama, with Mark and Amy and other artists and scientists, at a symposium on expeditions. The owners of that vineyard are collectors of contemporary art, and the grounds around the estate are filled with works by major artists. It was thrilling to see modern works nestled against the Tuscan landscape that Americans recognize from the cinquecento painters. Anything you’ll miss once back home? I am back home, and I am already missing the new friends I made there, and the cozy regularity of the duomo bells gonging me awake every morning at 7. Also, I miss chatting with the owner of the little local store near my apartment at the foot of the duomo, in the Selva contrada (Siena's forest neighborhood), who taught me to bring back the wine bottle so that he could re-fill it from a box for a few Euros, rather than sell me a new bottle for five times that much. Where can you be found hanging out in Siena? A favorite restaurant, osteria or coffee bar in Siena? Every morning, I had a caffè or a cappuccino either at the Roxy Bar near the duomo, or at Fiorello near Piazza del Campo. I was told that Fiorello is the best, and I believe it is, but I liked chatting with the bartender at the Roxy. He’s the one who told me that drinking a double espresso is something only Americans and maybe French people do, and that it’s not a great way to start the day, in his opinion. I will never do that again. I also had a fine standup lunch one Sunday afternoon at La Bottega di Solimano, on the Piazza Independenza. A Sienese or Tuscan dish you fell in love with? The riccarelli, when well-made, are like little almond clouds. I’m a sucker for the Brunello too. Any shopping advice for foodie visitors? I bought a kilo of Parmigiano Reggiano to take with me on the airplane at the large agricultural cooperative (Consorzio Agrario di Siena) near Piazza Gramsci. I picked up some new olive oil to take home from there as well. Any other shopping secrets in or close to town ? If you want to buy the contrada scarves, and I wish I had bought one of all of them now, go as far from the centro as possible. I found the large ones for 8 euros near the far northern edge of town. I think they cost 12 by the Campo. Night-life in Siena? Does it exists? I wouldn’t know. I was out on Piazza del Campo at 1 a.m., one night, and it was teeming. But I did notice them rolling up the carpet at 9 p.m. on a Sunday. That’s fine with me, because I am a morning person. Do you have a soft spot for a particular contrada (neighborhood) in Siena? Selva. I went to their fest of the chestnuts. I could not believe how many people were out, drinking mulled red wine, and sampling cakes, near midnight, on that little lane. 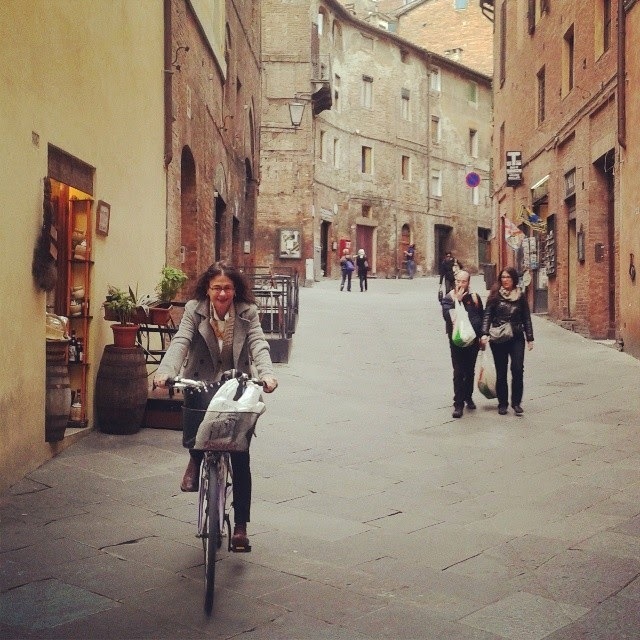 You must be the first American to have rented a bike in Siena: how did it go? It was great. No matter where I travel, I like to have a bike if I am going to be in a city for any length of time. It’s the best way to see everything. Not about bike rentals! November in Siena: yes or no? Yes, there were some lovely sunny days on piazza del Duomo, where I think I got a bit of a tan. One weekend, we witnessed the two seasons – winter and fall – battle it out during a 48 hour tempest of slashing rain and whistling wind, interspersed with sunlight and rainbows, and that was a great experience. I did ruin a pair of boots by drying them too close to the fireplace, but I’d had them for years. What will you tell your kids about Siena? I recorded the duomo bells for them. 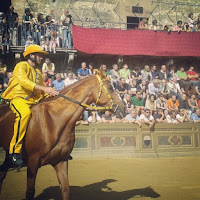 And of course, I described the contradas and the Palio, even though I didn’t see it. Finally, I shared my pictures of the duomo floor. 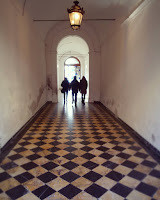 They are interested in the occult and the secret societies, from our time in Perugia. After three weeks in town could you imagine to stay here for good? Possibly. But I’d want to be out in the countryside, I think. A day out of town: where would you take people in the surrounding hills? I went to Sorana, an unbelievably beautiful place, and to get there you drive through the Val d’Orcia, rolling quintessential Tuscan landscape that is a World Heritage site. What have you taken back home from Siena? Contrada scarves, cheese, new olive oil. You lived in Perugia for a year together with your family: any advice for travelers who explore Italy with kids? There’s no better way to get a kid through a museum than the fact that they know there are pizza and gelato stores just on the other side. An American writer’s take on Italian literature: any favorites? My all time favorite is Il Gattopardo (The Leopard). I would never have imagined being interested in 19th century Sicily, and now I see it so vividly. 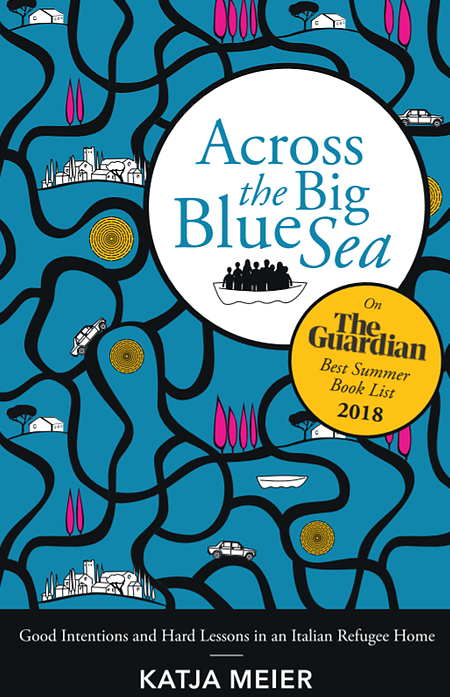 I'm also very enamored of Elena Ferrante’s The Days of Abandonment, and although he’s not Italian, Michael Dibdin's Aurelio Zen detective novels are brilliant. They must be translated into Italian. Three weeks in Siena in five words? Bells, bricks, Brunello, books and – for me – no bambini. Find Nina Burleigh's biography and links to essays and current articles on her website, and more information on her five (soon six) books on her author's page on Amazon.